Successfully Added 290 degree, 2.5-inch LCD, 1/2.5" CCD 8M Pixel Digital Camcorder to your Shopping Cart. 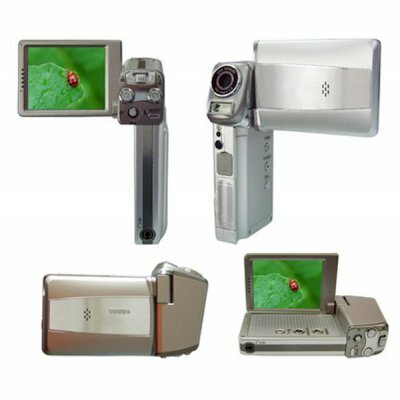 New Digital Camcorder product with 290 degree rotating 2.5 inch TFT color LCD screen and built-in 18MB flash. It is compatible with max.2GB SD card and 5 x digital zoom. Features high quality PC camera function and it needs NP-60 Lithium Rechargeable Battery to give power supply. USB2.0interface to connect with computer and includes Mechanical and Electric 2 sec. ~ 1/1000 sec. speed shutter. It is able to show the English, Chinese and Spanish language on the screen..
Normal: 2 sec. ~ 1/1000 sec. Night Sense: 8 sec. ~ 1/1000 sec.